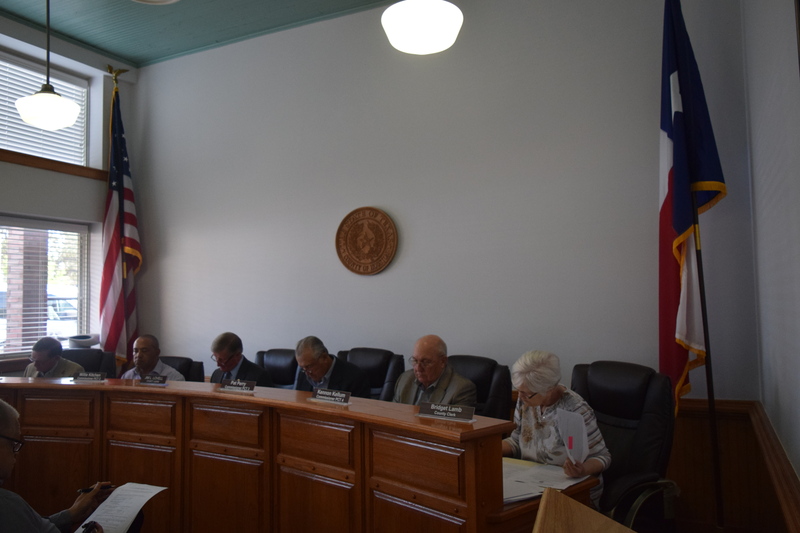 HOUSTON COUNTY – During discussion of an agenda item pertaining to the payment of bills and expenses by the Houston County Commissioners Court, County Auditor Melissa Mosley addressed an issue her office has been dealing with. “I have had a couple a couple of people in the public call who were questioning expenditures of the outgoing elected officials. As a matter of record they are not considered as a ‘lame duck,’ yet. At least, not until the election in November. The court does not watch every single expenditure of elected officials. You are still in office and everything is flowing as normal. There is no such thing as a lame duck official at this point,” she asserted. As the meeting continued, the auditor explained an agenda item concerning deed records. She added that was the reason the agenda item stated the contract was exempt from bidding. “We can’t get this done by anyone else,” Mosley explained. The court unanimously approved the agenda item. The minutes of the prior meeting’s minutes were approved. The payment of bills and expenses accrued by the county was approved. The salaries of new and/or transfer employees were approved. The County Treasurer’s and Compensatory Time Reports were accepted as information by the court. Proclamations declaring the month of April as County Government Month and Fair Housing Month were approved by the court. A lease agreement between Brenda Stubblefield and Houston County Road and Bridge Precinct Four was approved. An event and display permit for the Houston County Welfare Board and Kalin’s Center – for Child Abuse Prevention Month – was approved by the court. An agreement with Hilltop Securities, Inc. to prepare the Continuing Disclosure Statement for Houston County – as required by the Securities and Exchange Commission Rule 15c2-1 was approved by the commissioners.